You are being redirected to the most updated version of this article on the author’s website at CES2016 – New In-Ear Monitors from Audiofly. Audiofly, makers of in-ear monitors, earphones and headphones has expanded its line of in-ear monitors with the additions of the AF1120 and AF100, announced at CES 2016. 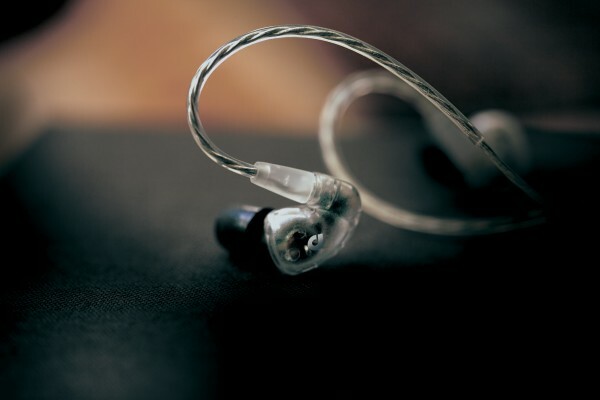 The AF1120 is designed for professional musicians, while the AF100 is designed for novice musicians looking for a high-quality, affordable in-ear monitor. The brand was built by musicians whose mission is to provide universal products that fit the diverse and versatile quality and budget needs of musicians. Its customers range from X-Factor Australia contestants to musicians across the world who desire an unmatched experience that empowers musicians to create and play impressive music. The AF1120 is Audiofly’s most powerful in-ear monitor yet. The AF1120 breaks sonic barriers, housing a sextet of balanced armature drivers, something typically only found in custom headphones, into a universal in-ear monitor form factor. Featuring six highly tuned balanced armature drivers in a dual low, mid and high configuration, the 3-way crossover creates a stunning sense of space and clarity. The AF1120 is designed with Audiofly’s proprietary Silver Audioflex cable made with CORDURA® outer sheath for outstanding durability and clarity. The addition of this cable adds a finesse to the tonal quality of the in-ear monitors that creates an air of brilliance and excitement to the listening experience. It is designed with a fluid shape to provide a comfortable listening experience, which is important to musicians who utilize in-ear monitors, for hours on end, to create music. The AF1120 comes packaged with nine pairs of replacement tips: three of each single flange, tri-flange silicon and Comply®. It also comes with a cleaning tool, airline splitter and waxed canvas bag to protect the in-ear monitors while on tour. It will be available in Q3 2016 for $799.99. The AF100 is Audiofly’s most affordable in-ear monitor yet. The musical engineers at Audiofly understand the need for quality gear in order to chase the dreams of a musician, and that’s why they created the AF100, which delivers a great sound into a value package. The AF100 features a beautifully voiced single dynamic driver, which features enough high-quality performance for a musician to create music while being free from the financial constraints of costly in-ear monitors. These in-ear monitors are designed with a fluid shape for added comfort during long periods of listening. Created with a durable TPE cable, these in-ear monitors withstand most wear and tear, ensuring they stay intact and in-use from gig to gig. The AF100 comes packaged with three pairs of single flange silicon tips, a cleaning tool and a molded protective case to keep them safe and protected while on-the-go. It will be available in Q3 2016 for $99.99. For more information on the AF1120, AF100 and all of Audiofly’s audio solutions visit www.audiofly.com.